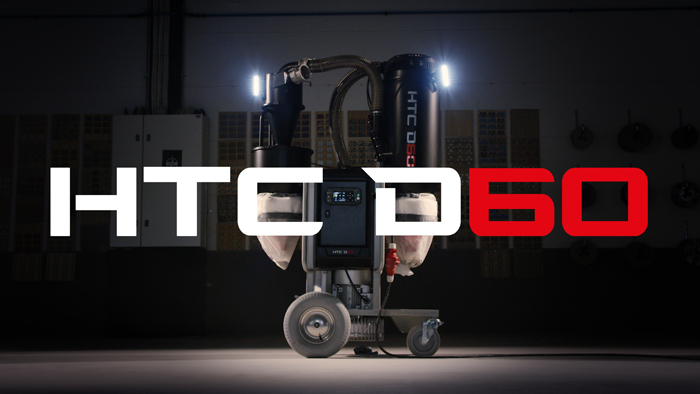 HTC D60 – A dust extractor that lets you focus on the floor. 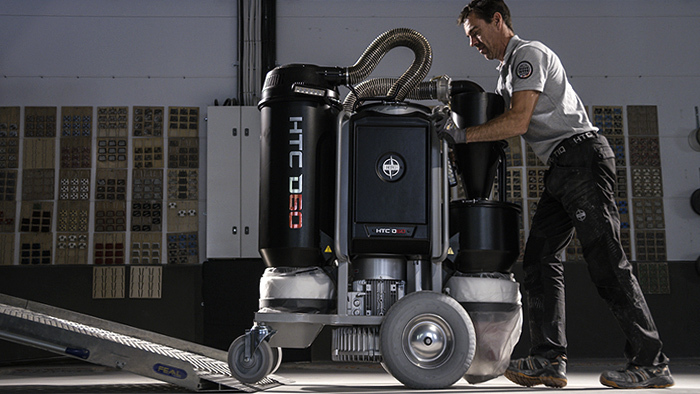 The HTC D60 has been especially designed for floor grinding, and in particular together with DURATIQ grinders. It features innovative technology in line with the DURATIQ platform that will benefit users through remote connection capabilities, continuous operation, improved ergonomics, lower service needs and a better working environment. The dust that forms when grinding and polishing must be correctly handled so as not to endanger your health. 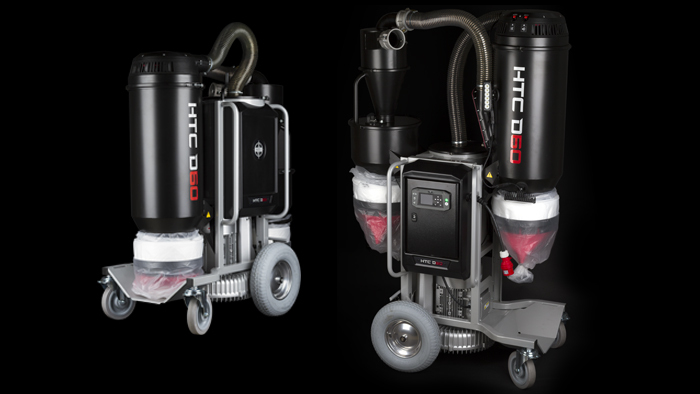 The HTC D60 does this, but in a way that does not create unnecessary downtime or lost performance during the grinding process. Remotely connected – Productivity on a new level. Productivity is closely associated with control. This is why the HTC D60 is equipped with a digital control panel (HMI) where the essential functions of the dust extractor can be monitored. 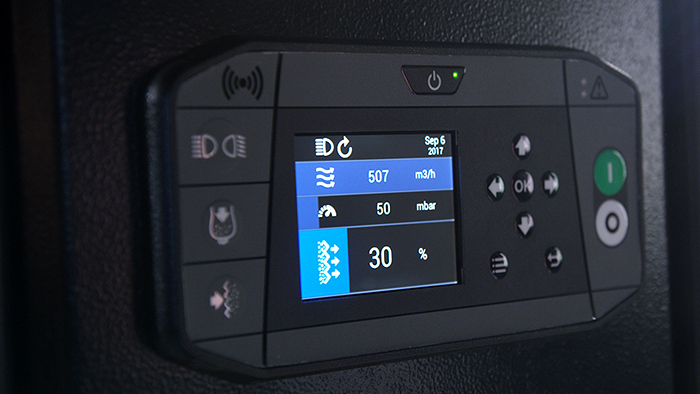 A 3,5-inch LCD display provides clear and sharp information about critical data needed for optimal dust extraction – airflow, under-pressure and filter status. 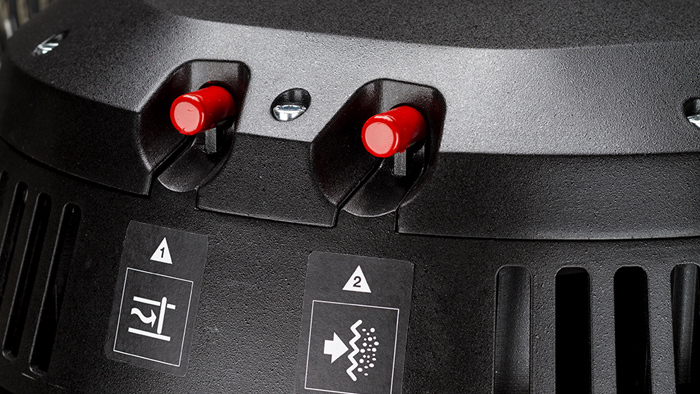 Remotely connect your DURATIQ grinder and you can start and stop work, clean the filters and receive important notifications on the display of your grinder or remote control unit, all so that you can focus on the floor and ultimately save time and money. Easy to use – At the same time, a real power package. An important aspect of a good working environment is ergonomics. That heavy machines are perceived as easy to use is something we at HTC keep in mind when developing new machines. 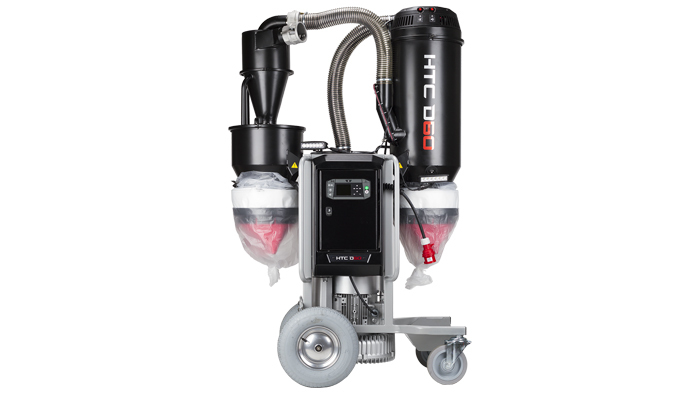 The HTC D60 has many ergonomic properties that facilitate day-to-day work for operators when grinding and when transporting the unit. Easier to lift with a forklift. Extra large wheels, both front and back, make a big difference when passing over thresholds, for example. Low height in transport position simplifies moving and loading. 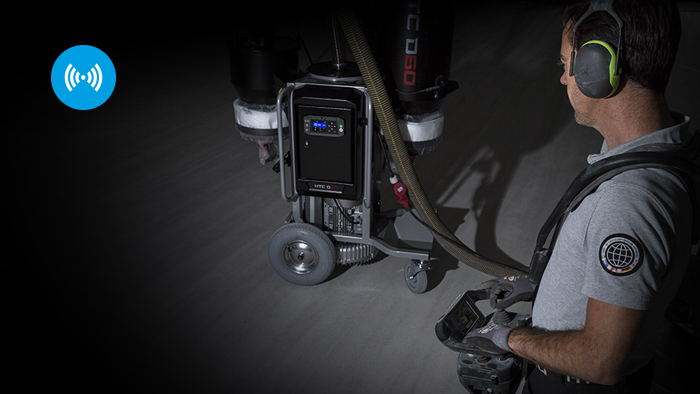 The D60 is a robust dust extractor, but even so, it is compact enough to be handled by one operator without assistance. A digital control panel (HMI) with a 3.5-inch LCD display provides clear and sharp information even at a distance. Read off airflow, under-pressure and filter status at a glance. New effective filter cleaning function means quicker, repeatable and effective filter cleaning. Easy operation with two buttons. As an option, the function can be automatically operated or via a remotely connected DURATIQ grinder. Choose automatic filter cleaning and the machine will handle filter cleaning on its own as needed. Dust on the main filter is removed easier and quicker thanks to the filter’s PTFE (teflon) coating. Provides better airflow through the filter and consequently better dust extraction. Ergonomically designed bypass valve. Easily open and close the valve with one hand without the risk of injury. Large duck bill valve (Ø 29cm) with a flexible rubber valve empties the cyclone of dust, safely and effectively. The innovative design with rubber instead of a conventional flap reduces the risk of dust bag puncturing. The integrated pre-separator entraps up to 95% of the dust and only the finest dust passes into the main filter. This extends the service life of the main filter. If needed, the pre-separator can easily be removed. Adjustable height in four positions. Two operating positions and two transport positions. Integrated and stable lifting points for forklifts and lifting straps. Large wheels both front and back make the dust extractor easy to maneuver on soft surfaces and over thresholds. Powerful and easy-to-use brakes. With a width of 68 cm, it fits through a standard door opening without any problems. The fine filter that gathers the finest and most dangerous dust is easily accessible. This makes filter replacement simple and safe with minimal risk for the spread of dust. Easily open and close different parts of the dust extractor. Safe and quick access for filter replacement and cleaning. Sturdy handles and a low center of gravity make the HTC D60 easy to move at job sites and transport in vehicles. 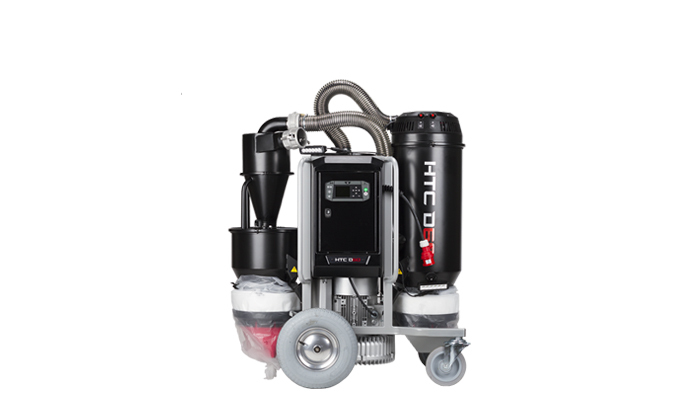 Remotely connect the HTC D60 with a DURATIQ grinder and control the dust extractor remotely from the grinder’s control panel or remote control unit. Two separate LED units with spiral cords provide extra light at the working area. Freely positioned with magnets. Cleaning kit that includes tubes with camlock couplings and nozzles. 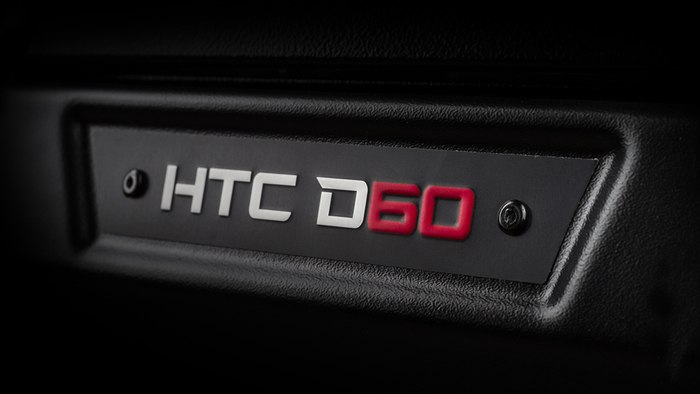 Concept brochure about HTC D60 in English.